It's time to start building! 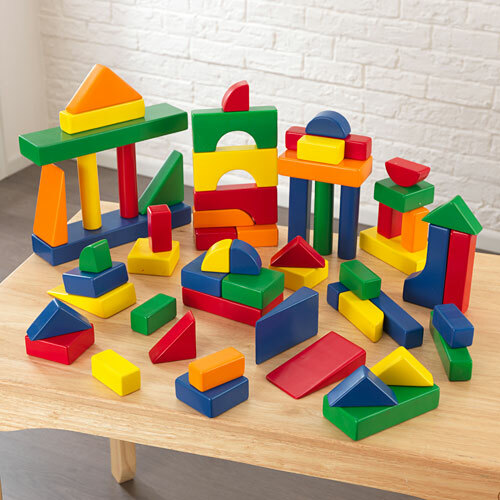 Our latest and greatest Wooden Block Set helps kids work on shape recognition and eye-hand coordination. There are 60 pieces in this adorable set, available in all sorts of different shapes and sizes. Measures approximately: 14.96 x 12.99 x 5.51 inches..